EXECUTIVE SUMMARY: It is widely assumed that Menachem Begin and Anwar Sadat made peace despite their deep personal incompatibilities. But in fact, there were significant parallels in the lives of both men, and these may have facilitated their coming to an agreement. The similarities between them – their early careers in “underground” movements, their stints in prison, their struggles against the British and hatred of the Soviet Union, their years on the margins of power, and their clearly defined definitions of homeland – may have eased their final compromise. 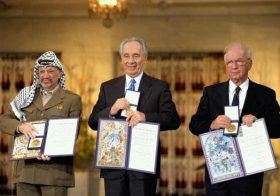 It is now thirty-eight years since the signing of the Israeli-Egyptian peace treaty, most famously evoked by the three-way handshake on the White House lawn that changed the Middle East. Israeli prime minister Menachem Begin and Egyptian president Anwar Sadat put war behind Israel and Egypt, and in so doing, ended the Israeli-Arab conflict. The Israeli-Palestinian conflict continues, and so too does the Israeli-Iranian struggle. But Israeli-Egyptian peace put an end to the destructive battlefield wars between Israel and Arab states of the kind that erupted in 1948, 1956, 1967, and 1973. 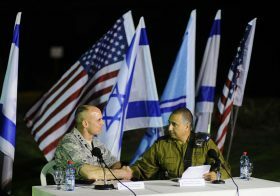 Since the famous handshake among Begin, Sadat, and Jimmy Carter, there has been no battlefield war between Israel and a conventional Arab army. And Egypt and Israel now have been at peace longer than they were at war. Yet in a briefing paper prepared for the US team prior to the Camp David negotiations, these sentences appear: “Both Begin and Sadat have evidenced similar personal and national objectives throughout their familiar transformation from underground fighter to political leader. Despite their often vituperative comments, each should be able to recognize the other as a politician basically capable of change, compromise, and commitment.” The idea that the similarities between Begin and Sadat made peace possible has been elided in the interpretation of the negotiations that casts Jimmy Carter as hero. This is no surprise. No two leaders could have seemed more different, and it is almost too easy to enumerate the contrasts. For starters, Anwar Sadat came from a poor village in the Nile Delta, a place of almost immemorial permanence. Begin came from the crumbling world of East European Jewry, later erased from the earth. Sadat was an Axis sympathizer during WWII. Begin’s parents and brother were murdered by the Nazis. Sadat made a career of the military, and even died in a military uniform. Begin was a civilian through and through. Americans found Sadat alluring and easy-going, a gregarious man in a leisure suit. They regarded Begin as rigid and ideological; one American official remarked that, even at Camp David, Begin was always dressed “as though he were about to go to a funeral.” Sadat was an authoritarian dictator who sent his opponents to prison. Begin was a classic liberal with a firm commitment to democracy and the rule of law. But the similarities between the two are just as striking – perhaps even more so – and it may be precisely the personal parallels that brought them together at the crucial moment, and made the achievement of peace possible. One obvious similarity is the one to which the US briefing paper alluded, in describing both as “underground fighters.” In fact, both entered politics through the back door, as conspirators who planned political violence and were steeled by long stints in political prison. Sadat, as a young revolutionary, immersed himself in conspiratorial plots, both against the British (who then controlled Egypt) as well as against Egyptian leaders he regarded as collaborators. As a result, he found himself in and out of prison. In 1945, the twenty-seven-year-old Sadat and his friends decided to assassinate the on-and-off prime minister of Egypt, Nahhas Pasha. The group staked out Nahhas’s motorcade; one of the members threw a grenade, but it missed his car. The group was disappointed. Eager to assassinate someone, they decided to kill the former finance minister, Amin Osman Pasha. This succeeded, and while Sadat was not the triggerman, he was tried as part of the conspiracy and was acquitted only after a lengthy trial. Menachem Begin had the more famous “underground” career. He was first sent to prison during WWII by the Soviet secret police, the NKVD – an eight-month travail he recounted in his memoir White Nights. By then, he too had been initiated into a life of clandestine conspiracy – methods of operation he would bring with him to Palestine in the last days of the British Mandate. There, at the age of thirty-one, he would rise to leadership of an underground organization, the Irgun. This group was responsible for the 1946 bombing of the King David Hotel in Jerusalem, which killed ninety-one persons. 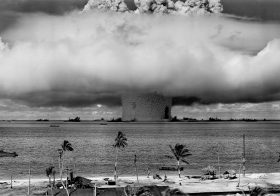 (Begin would always claim that a telephone call had been placed to warn that the bombs had been planted.) In 1947, Begin ordered the retaliatory hanging of two kidnapped British sergeants. Begin managed to stay underground throughout this campaign; the British never caught up with him. Clandestine nationalist “underground” activity, involving violence against the British Empire and its collaborators, represented a clear parallel in the careers of Sadat and Begin. So, too, was their eclipse during their middle years, as the British Empire retreated from the Middle East and Egypt and Israel gained full independence. Both men spent many years on the political margins, overshadowed by domineering leaders who had a stronger grip on the imaginations of their peoples. Sadat was a member of the Free Officers conspiracy in 1952, and was part of the cabal of young officers who overthrew the monarchy. But after Nasser emerged decisively as the leader, Sadat came to be regarded as the most colorless man in the ruling clique. He was socially conservative, rather more religious than his colleagues, and seemingly a bit less sophisticated because of his rural origins. He spent eighteen years in the shadow of Nasser, and became his number two only in the year before Nasser’s death. No one could have guessed, during Nasser’s long-running high-wire act, that Sadat would succeed him. (Sadat’s deferential posture may have spared his being purged by Nasser, who never considered him a threat.) When Sadat became president, he was fifty-two years old – the same age as Nasser at his death. Begin languished even longer on the margins. The Zionist revolution was credited to David Ben-Gurion, the man associated most directly with Israel’s war of independence and institution-building. The Revisionists led by Begin would always claim to have played a crucial role in Israel’s struggle for independence, by their acts of resistance – some would call them terror – against the British and the Arabs. 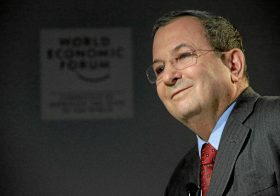 But this was a disputed narrative – put forward by Begin in his book The Revolt – and it failed to persuade the great majority of Israelis. The evidence for this was the weak performance of Begin’s political party in Israeli elections. This left Begin a perpetual denizen of the opposition benches in the Israeli parliament. In a political landscape dominated by the Labor party, he spent decade after decade delivering speeches and doing little else. His opening came only after the 1973 war, launched by Sadat, which finally precipitated a crisis of confidence in the Labor Party leadership and opened the door for Begin. (Here was a paradox: it was a decision of Sadat’s that cleared the way for Begin.) When Begin became prime minister in 1977, after leading his own party to defeat in eight election cycles, the world was astonished. He was sixty-four years old when he assumed the premiership. Sadat and Begin thus spent decades in the shadow of men who effectively issued the declarations of independence of their countries. (Ben-Gurion actually declared Israel’s independence in 1948, and Nasser effectively declared Egypt’s independence by nationalizing the Suez Canal in 1956.) But neither of these giants had managed to bring peace to their peoples. Nasser drove Egypt to defeat in 1967, while Ben-Gurion, despite leading Israel to victories in 1948 and 1956, had been unable to translate military prowess into peace. This was true of his Labor Party successors as well. They left unfinished legacies, which provided the openings for Sadat and Begin. Begin and Sadat also shared a strongly pro-Western, anti-Soviet orientation. Begin had been thrown into prison by the Soviets. Although it was the struggle against the Nazis that had formed him, his animosity towards the Soviet Union, while less in degree, was similar in kind. A champion of Jewish peoplehood first and foremost, he saw the Soviet Union as an oppressive regime of anti-Semitic evil. This was in contrast to many on the Israeli left at the time, who remembered the Soviet Union as the great ally of WWII and who persisted in admiring its (supposedly) socialist values. Sadat shared this aversion to the Soviets. During Nasser’s years, Egypt aligned itself squarely with the Soviet Union, which became Egypt’s major arms supplier, financier of the Aswan Dam, and principal source of diplomatic backing. But Sadat never trusted the Soviets. He was certain they represented another form of colonialism, and that their policies were meant to keep Egypt subservient. He came to power as president in 1970, and already by 1972 he had expelled thousands of Soviet advisers whom he regarded as agents of a foreign empire, no different than the British of an earlier era. 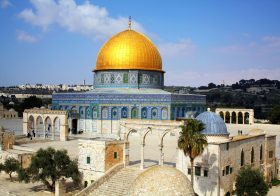 It would be his desire to align Egypt with the West – and particularly the US – that would set the stage for his decision to visit Jerusalem. Both men also relied heavily on the technique of strategic surprise. Sadat had attempted, through his first few years in power, to achieve the return of the Sinai Peninsula to Egypt through back-channel diplomacy. He ultimately concluded that what had been taken by force could only be restored by force. That led him to the bold decision to launch war against Israel in October 1973, in cooperation with Syria. His war goals were limited: to compel Israel to come to the table and force the US to take Egypt seriously as its potential Arab partner. The war produced just enough military success to be portrayed to the Egyptian people as a victory, so Sadat could claim to have achieved the battlefield triumph that had eluded Nasser. But to translate his (limited) military achievement into something more, there had to be a political move of comparable audacity. This would come in the form of his surprise decision to violate all the norms of Arab political conduct, and pay a visit to Israel. There he appeared in the Knesset, Israel’s parliament, and made a famous speech of reconciliation. Begin also was given to the audacious act. Three of them marked his premiership. First, there was the decision to withdraw from all of Sinai, involving the demolition of Yamit, a large Jewish settlement there. It was the first time Israel had ever dismantled a settlement, and it came as a shock, especially to Begin’s admirers. Second, there was his decision in 1981 to bomb Iraq’s nuclear reactor – a complete surprise to the world, driven by an inner conviction that he was acting to save Israel. This was followed by his decision to invade Lebanon – a move intended by Begin to complement the peace with Egypt by remaking Israel’s strategic environment. 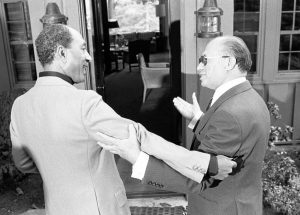 Begin, like Sadat, could surprise both friends and adversaries with bold moves. Both men were also driven by an almost isolationist nationalism. Nasser had placed Egypt squarely in the Arab circle: Egypt was to lead the Arab world, and Egyptians were first and foremost Arabs. In 1958, he even briefly subsumed Egypt into something called the United Arab Republic, which joined Egypt and Syria in a single polity. Sadat, in contrast, extricated Egypt from its Arab commitments. He regarded it as a civilization unto itself, so weighty that it could stand aloof and alone. Yes, it would engage in alliances and relationships with other Arab states, but Sadat was determined to put Egypt first, even if other Arabs might shun it. The two men also had a shared concept of the territorial limits of peoplehood. For Sadat, Egyptian territory was sacred, and the Sinai was part of Egyptian territory. The commitment to the Palestinians, in contrast, was vague – diminished, in no small measure, by Egypt’s overall withdrawal from the Arab world. 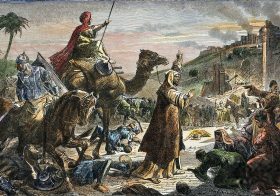 For Begin, the West Bank was sacred – not occupied territory, but Judea and Samaria, Israel’s patrimony. Yet the Sinai was foreign land. Had Begin been driven only by security considerations, he might have resisted withdrawal from the valuable strategic buffer represented by the Sinai. (Some of his advisers thought he should.) But his precise sense of where the Jewish homeland began and ended made possible an agreement based on a total Israeli withdrawal from the peninsula. But the parallels in the lives of Sadat and Begin may have worked, in ways subtle but strong, in favor of an agreement. Here were two men forged by prison and violence into believers in their own destiny, but who had been written off politically for decades. By the time they came to power, they were in a hurry to achieve something that would transcend the legacies of their celebrated predecessors. Here were two men who believed their peoples were fated to struggle alone, but who were prepared to go to extraordinary lengths to cement relations with the US, in the interests of their peoples but also in order to shut the Soviet Union out of the Middle East. Here were two men who did not shy away from the bold gamble, and who actually saw a greater risk in inaction. And above all, here were two men possessed not only by a strong sense of peoplehood, but of its geography, which they conceived in ways that left no overlapping territorial claims. There is one more parallel. Both men finished their lives tragically. Sadat was assassinated in 1981 on the reviewing stand during the annual celebration of Egypt’s October 6, 1973 military offensive. While world leaders attended his funeral, the Egyptian crowds stayed home, and so too did Arab leaders. He died in splendid (personal) isolation, mirroring that which he brought upon Egypt. Begin also died in isolation—one he had imposed on himself after he resigned the premiership in 1983, in the wake of the Lebanon war. In the decade between his resignation and his death in 1992, he went into seclusion. He was buried, as he wished to be, not among Israel’s leaders on Mount Herzl, but on the Mount of Olives, and not in a state funeral, but in a simple Jewish ceremony. For many Egyptians, Sadat’s achievement in war was tainted by an ill-conceived peace. For many Israelis, Begin’s achievement in peace was tainted by an ill-conceived war. The two men who, with Jimmy Carter, shared the world’s stage on March 26, 1979 to thundering accolades departed this earth to mixed reviews. But the peace treaty has turned out to be the most durable feature of the Middle Eastern landscape, and the bedrock on which the stability of the region rests. Two “incompatible” men forged it – perhaps because, ultimately, they were so much alike. Dr. Martin Kramer is founding president emeritus of Shalem College in Jerusalem and the Koret Visiting Fellow at the Washington Institute for Near East Policy.